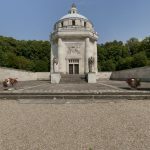 The millennium celebrations – a thousand years since the Hungarians settled in the Danubian Lowland in 1896 – were symbolically connected with the raising of Hungarian national awareness. Studying history and, more importantly, creating the national mythology became crucial. Architecture was affected as well. Searching for the original architectural forms of the Hungarian nation and forming the national style influenced the building boom and the orientation of the Hungarian Art Nouveau in the first two decades of the 20th century. The Hungarian national style was determined by the combination of Romanesque and Gothic motives that were associated with the times when the Hungarian Kingdom was established; as well as by the architecture of India, which was considered the cradle of the Hungarians; and by the elements of vernacular architecture in the Southern Carpatians. In Slovakia, the Hungarian national style was typically used in state-donated public buildings, in particular in school buildings built after the new Education Act was approved in 1907. 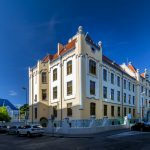 To the impressive examples of Hungarian school buildings from that period belong the elementary school in Skalica (J. Bábolnay, 1913), the royal gymnasium in Liptovský Mikuláš (Z. Bálint, L. Jámbor, 1918) and the Evangelical gymnasium in Rožňava (L. Baumgartner, 1903). However, the most important work of the Hungarian national style in Slovakia is the royal boys gymnasium with the Church of St. Elizabeth in Bratislava (1908). This stylistically unified building complex is the last work of the founder and key representative of this style, Ödön Lechner (1845 – 1914). 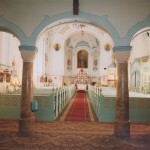 Typical elements of the Hungarian Art Nouveau can be found in the church designed by one of the most significant Art Nouveau architects István Medgyaszay. Apart from its architecture, St. Elizabeth‘s Church in Muľa in Slovakia is interesting because of its construction where reinforced concrete was used for the first time in the Kingdom of Hungary. At the end of the 19th century and at the beginning of the 20th century, national architecture was an important topic for the whole Europe. This was because of the wave of emancipation of the European states as well as the idea of a national state. The Mausoleum of the Andrássy Family in Krásnohorské Podhradie (1904) designed by architect Richard Berndl from Munich represents a remarkable transformation of German Romanesque building tradition into new forms of Art Nouveau. Another such building is the Neolog synagogue in Trenčín (1912), designed by Richard Scheibner, a Trenčín-born architect working in Berlin. While big European nations based the national identity of their architecture on the building culture of thousand-year-old empires, new European nations had to keep to the only authentic tradition – vernacular architecture. Even the most famous Slovak architect Dušan Jurkovič (1868 – 1947) initially drew inspiration from the vernacular creativity. 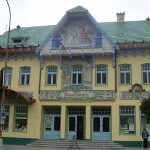 His most famous works, the tourist accommodations on Mount Radhošť (1900), the spa buildings in Luhačovice (1903), and the Skalica Culture House (1905), are a perfect combination of Art Nouveau, folklore motifs and traditional building constructions. Jurkovič was also called “the poet of the wood” because of his ability to bring the folk tradition of wooden buildings back to life. However, his activities cannot be reduced only to the questions of national peculiarities. The war cemeteries he designed in Halič (1916) show how skillfully he could take advantage of the peculiarities of a place and how extraordinary his creativity was when working with various materials.